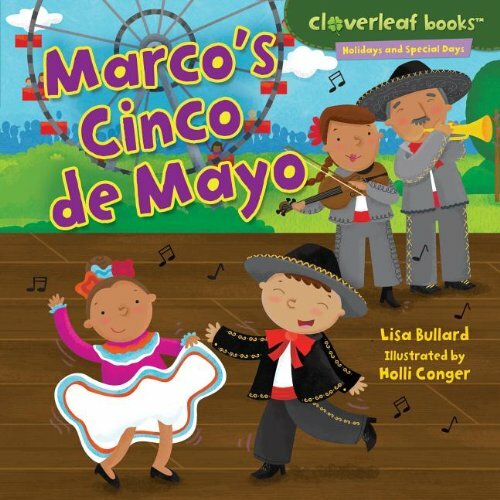 Are you ready for some Cinco de Mayo fun? 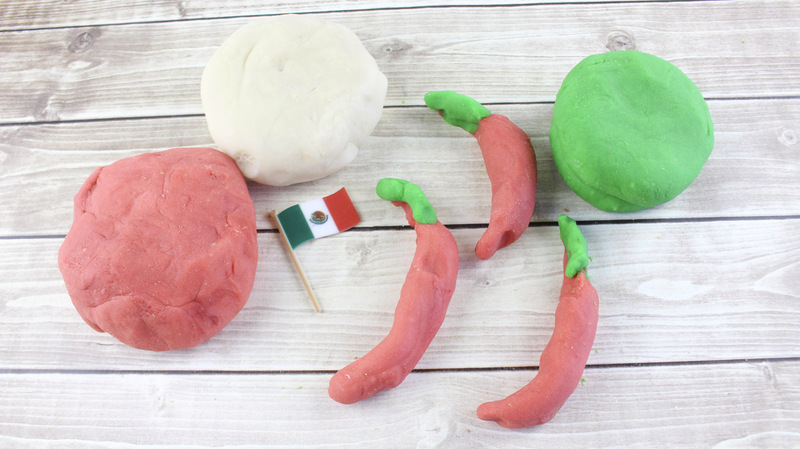 Today we have some Cinco de Mayo inspired playdough. 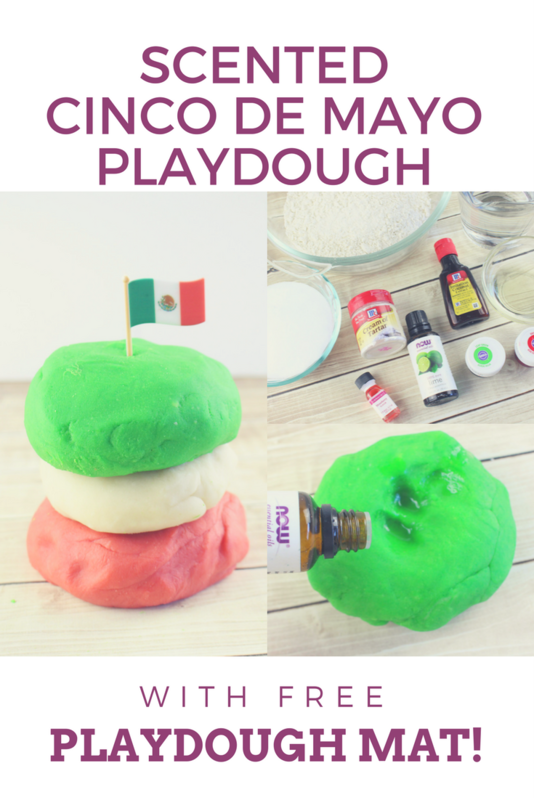 Kids love to play with play dough! It is also fun to make play dough with children. You have to be careful because the water is hot when you add the flour and other ingredients to it, but, none the less, children can definitely help. Today’s play dough has an added sensory experience to it. We will add a smell to it. Kids love smelling things! 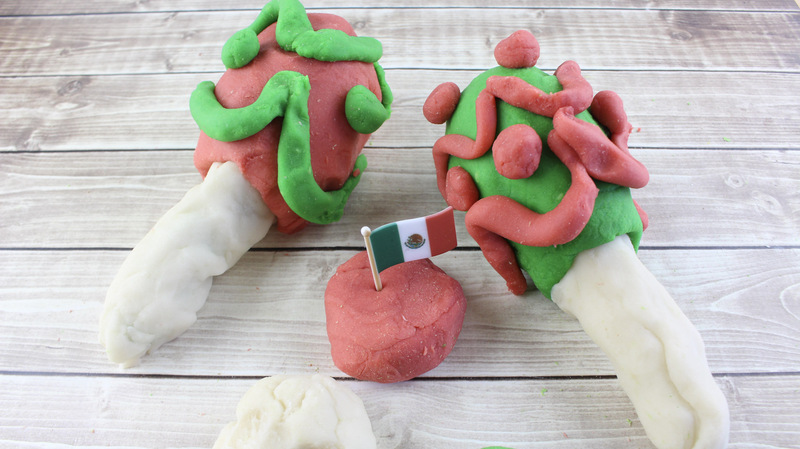 Smelly markers…OR, smelly play dough, like we have here! 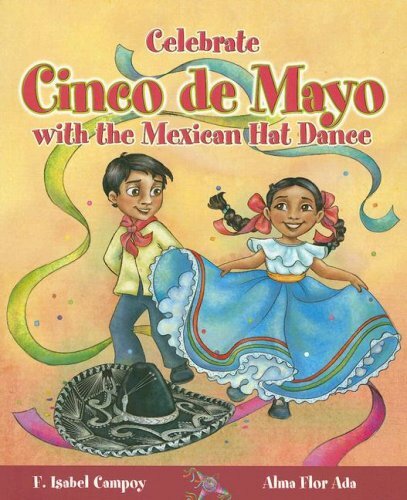 Before we begin, here are a few great book ideas to go along with our activity. 1. Add the flour, salt, water, oil and cream of tartar to a Dutch oven or large pan. 2. Place pan on the stove over medium heat, stirring continuously until a stiff ball of dough forms and you can stir no longer (3-4 minutes). 3. Remove the dough from the pan and place it on your working space. Knead the dough for 1-2 minutes while it is still warm. Allow it to cool for 5 minutes. 4. Separate the dough into 3 even sections. Press your finger into the middle of each piece to create a well. 5. In the first piece, add red food coloring to the well and knead until the color is evenly distributed. You may find it easier to knead the dough in a plastic bag to eliminate getting any food color on your hands. Drizzle a few drops of strawberry flavoring on top of the playdough and knead again to distribute the strawberry scent. 6. Add green food coloring to the well of the second piece. Knead the dough until the color is evenly distributed. 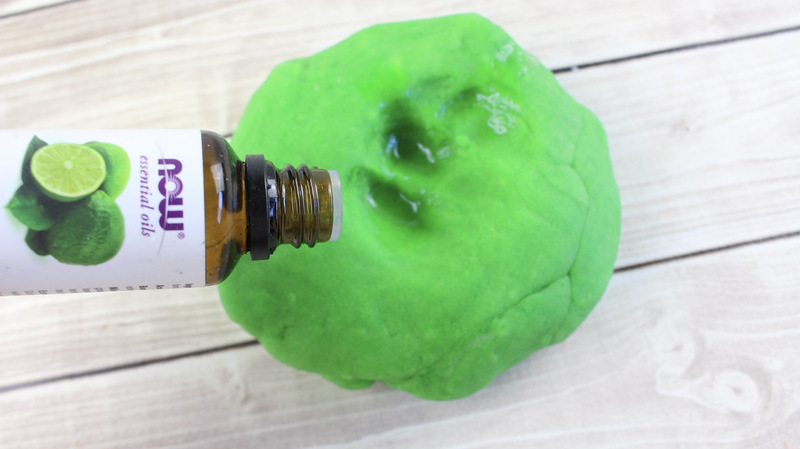 Add 5-6 drops of lime essential oil on top of the playdough and knead to distribute the essential oil. 7. 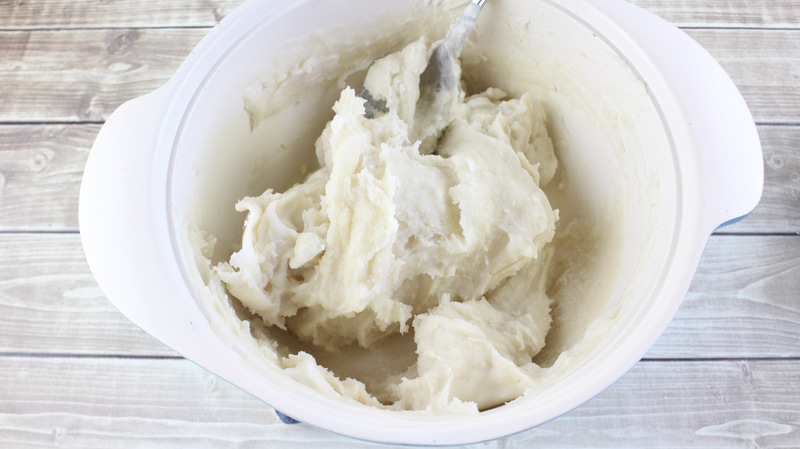 In the last piece of playdough, add 1/4 teaspoon of coconut extract and knead to distribute the coconut aroma. If you would like some free playdough mats to go along with this fun, enter your email and you will be added to our mailing list. You will find out about more fun activities and teaching ideas. If you have any trouble with your download, please email me at [email protected] After you download your playdough mats, it is always good to laminate them or put a page cover on them so that the playdough does not stick to the paper. Enjoy!